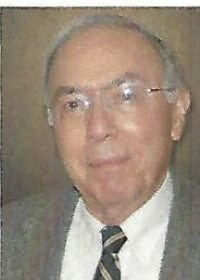 C. Bernard Barfoot of Alexandria, a mathematician and research department director at the Center for Naval Analyses, died on 22nd December at the age of 83 after suffering a stroke. Mr. Barfoot graduated from Tulane University in 1955 with a bachelor of science in mathematics and was commissioned in the U.S. Navy on the same day. He served as a division officer aboard an aircraft carrier and later as an officer instructor in the Mathematics Department of the U.S. Naval Academy in Annapolis. After returning to civilian life in 1959, he graduated from the University of Alabama with a master of arts in mathematics and was awarded membership in Pi Mu Epsilon, the national mathematics honor society. For 33 years – from 1966 until his retire111ent in 1999 – Mr. Barfoot worked for Center for Naval Analyses (CNA), the Navy’s non-profit think tank in Alexandria. He directed a wide variety of projects for Navy and Marine Corps headquarters in Washington, D.C., including amphibious warfare requirements, economic analyses of aircraft and ships, fleet concepts of operations, Army and Marine Corps power projection capabilities, and evaluation of war plans. Through CNA’s program to provide continuous on-site analytic support, he served on Marine and Navy command staffs in Honolulu, Yokosuka, Japan, and London, England. He also led a team of CNA analysts on a short-term assignment at the 3rd Marine Expeditionary Force in Danang, Vietnam. Mr. Barfoot was awarded two CNA research grants to prepare presentations of his research to conferences on Cybernetics and Systems Research in Vienna, Austria, and on Model Realism in Bad Honnef, Germany. He also received a CAN fellowship for a year of full-time graduate study at the George Washington University, earning a master of science in operations research. His thesis, Markov Duels, was published in a peer-reviewed journal and received an award from the Washington Operations Research Council. Mr. Barfoot was a member of the Operations Research Society of America, serving as associate editor of its technical journal, Operations Research, and session chairman at several national and international conferences on operations research. He was author of numerous CNA research reports as well as technical papers published in Operations Research, Naval Logistics Research Quarterly, and in the proceedings of technical conferences. He was a recognized authority on Lanchester and stochastic duel models of combat. Mr. Barfoot was a member of Christ the Saviour Anglican Church, Mount Vernon, serving as a vestryman, Senior Warden, and choir member. His hobbies included photography, genealogy, writing letters to the editor, and musical performance. For many years he was a clarinetist in various bands, a chorister at St. Luke’s Episcopal Church, Christ the Saviour Anglican Church, and, on special occasions, at the Washington National Cathedral and St. Paul’s Cathedral in London, England. Mr. Barfoot was a native of Gadsden, Alabama. He is survived by his wife of 61 years, Martha Oliver Barfoot of Alexandria, his daughter, the Reverend Canon Dr. Alison L. Barfoot, of Kampala, Uganda, and a sister and niece in Oregon. Family visitation will immediately follow the funeral. Both will be held at The Fairfax Retirement Community, located at the corner of US Rt. 1 and Telegraph Road on Thursday, 29th December at 2PM. In lieu of flowers, contributions to the Memorial Fund at Christ the Saviour Church in his name are welcome. Christ the Saviour Anglican Church , P.O. Box 167, Mount Vernon, VA 22121-0167.